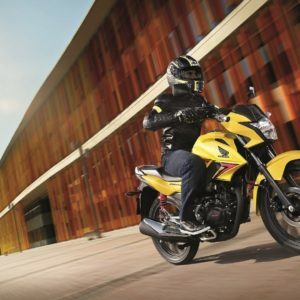 A dual purpose, Adventure style motorcycle with EURO4, DOHC, 4-valve engine. 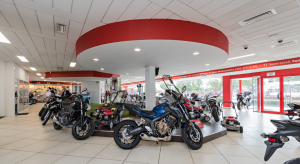 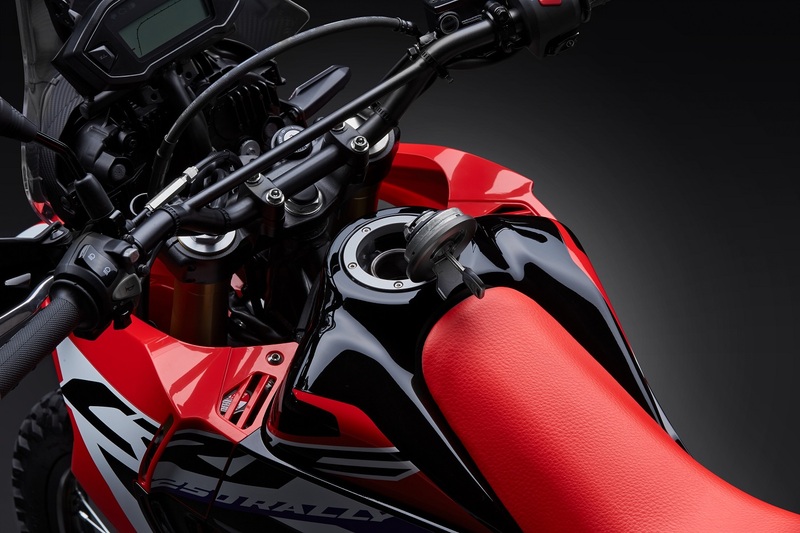 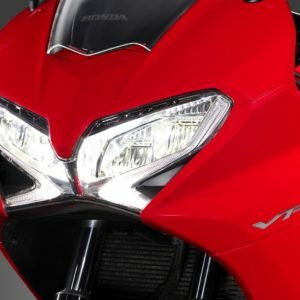 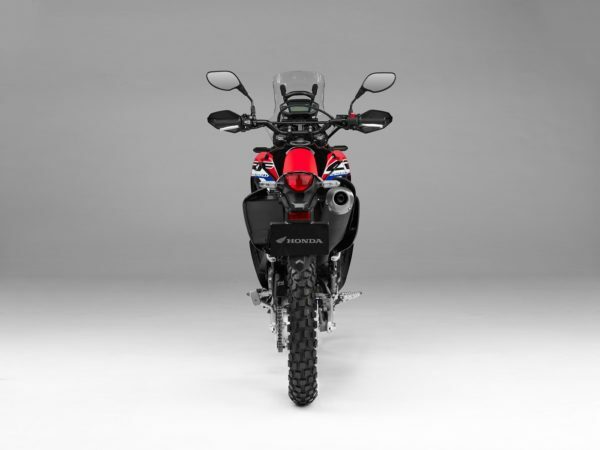 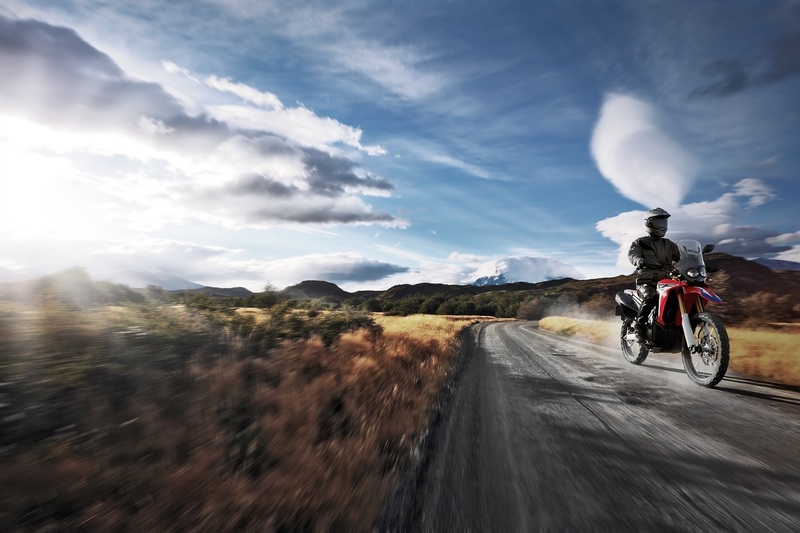 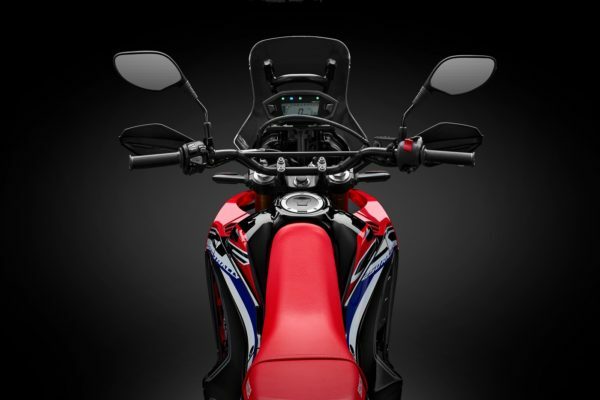 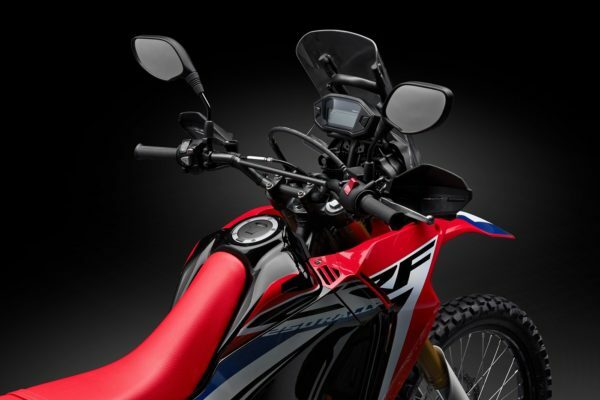 Floating windscreen: Developed from the parts used by the CRF450 RALLY, the ‘floating’ screen – along with the upper and lower fairing and side shrouds – effectively shield the rider and offer excellent protection from the elements. 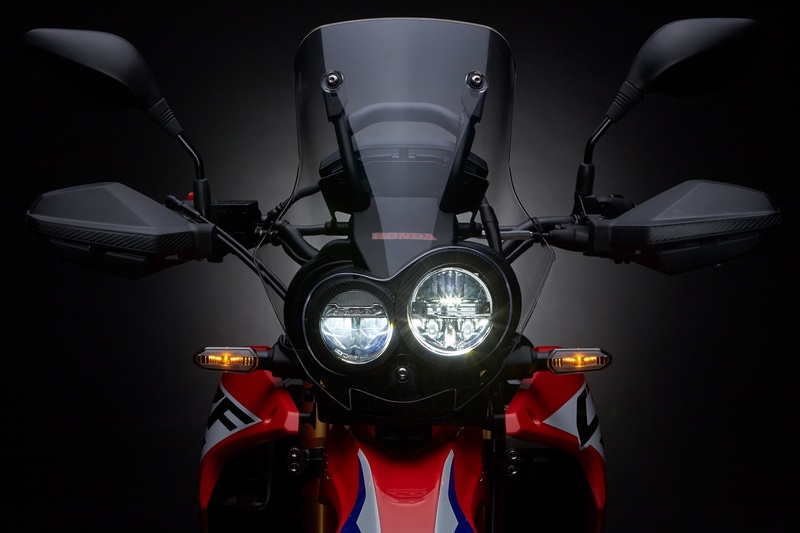 Asymmetric LED headlights: The look of a true desert fighter, the LED asymmetric headlights provide excellent visibility on and off road. Others won’t miss you’re your turn either, as the indicators are also LED. Large capacity fuel tank: The 10.1 litre fuel tank, with a 1.6L reserve, delivers a range of over 320km; perfect for a long weekend tour and good measure for a bit of off-road too. The flat filler cap is hinged for easy-fill convenience. 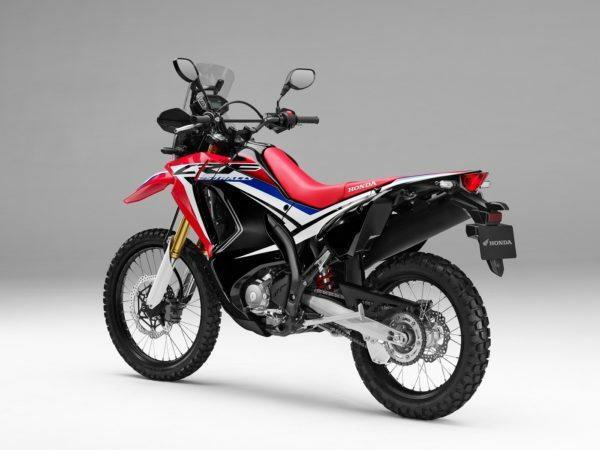 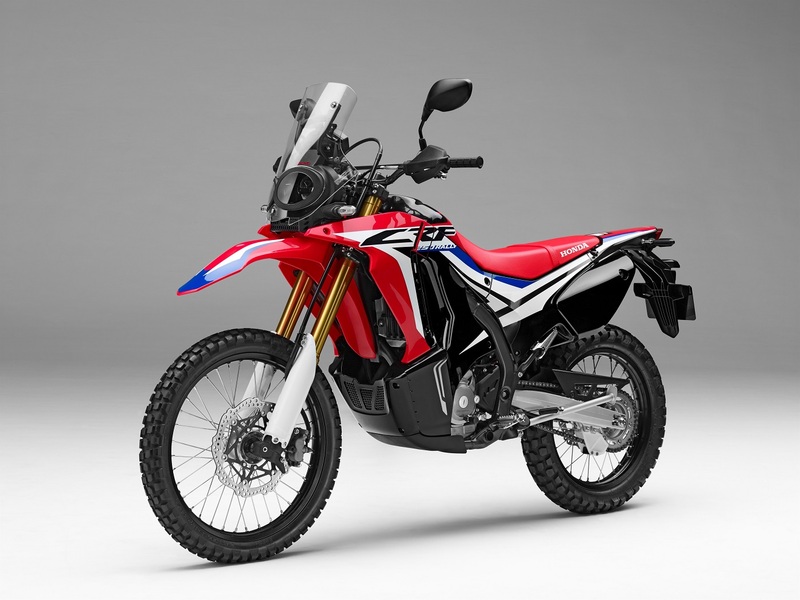 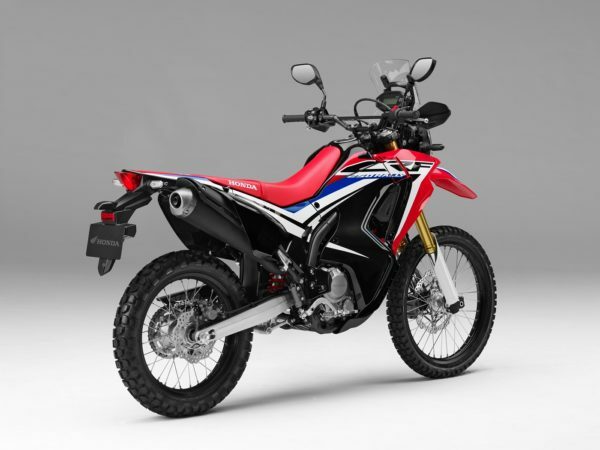 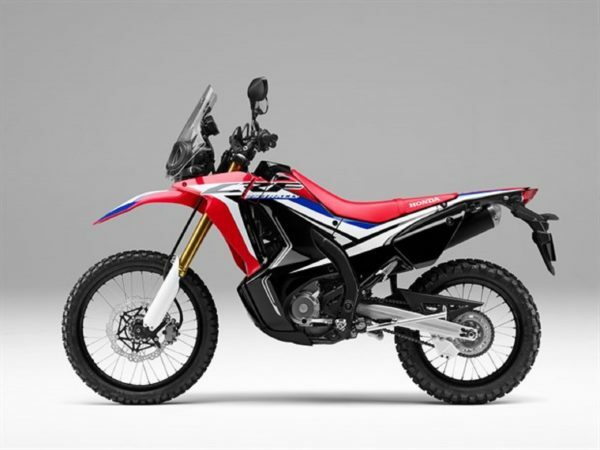 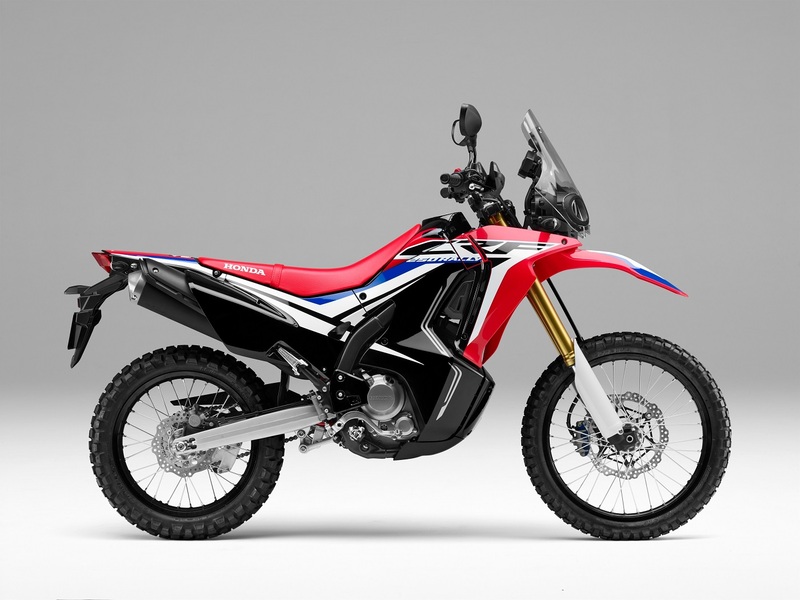 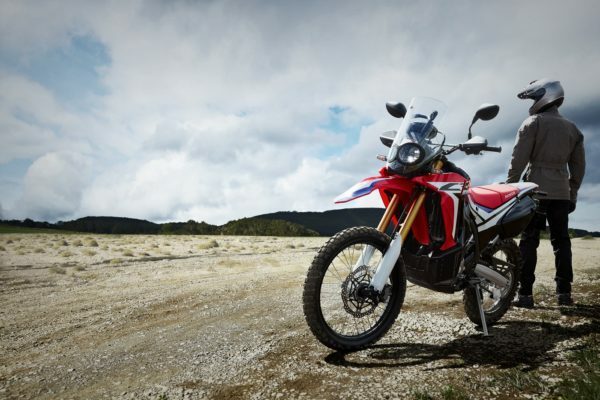 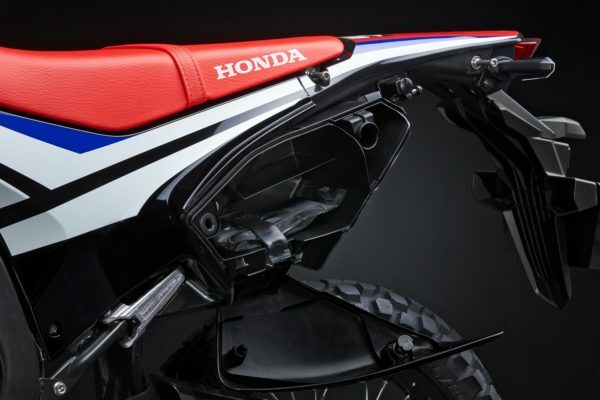 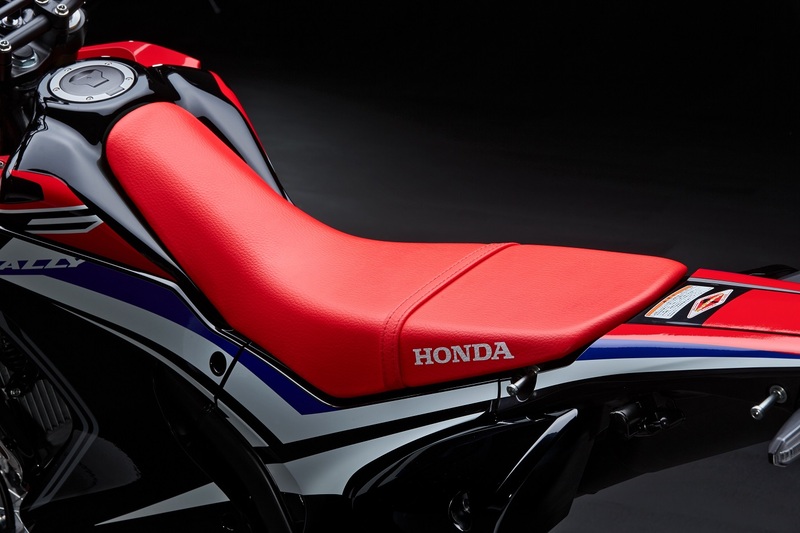 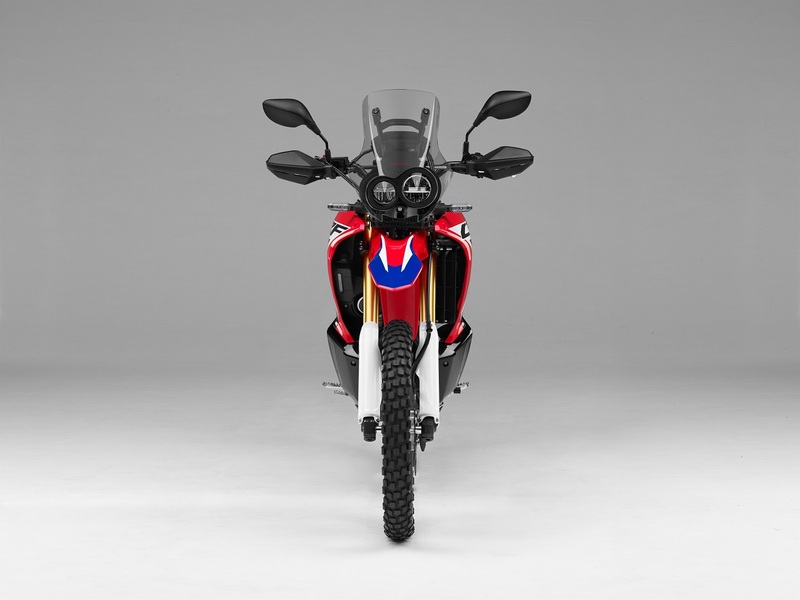 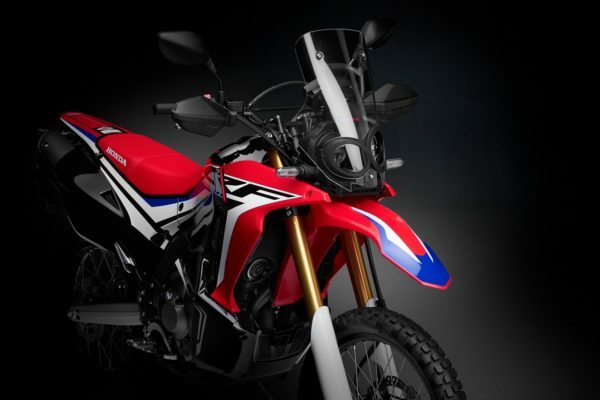 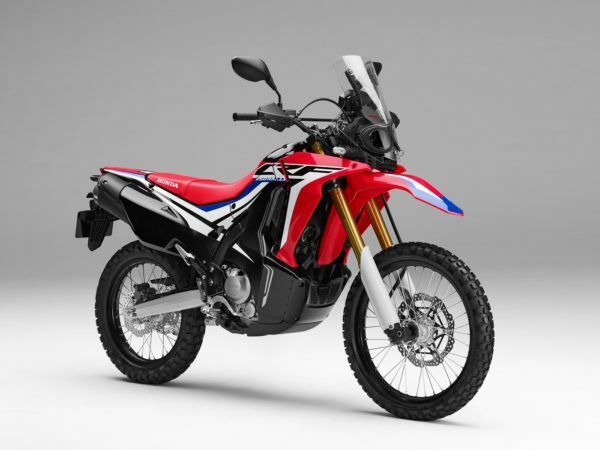 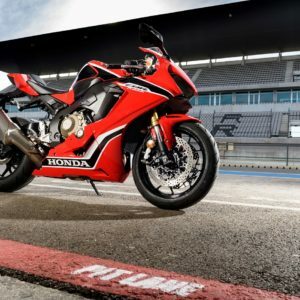 HRC Colours: The CRF250 Rally comes finished in Honda’s Extreme Red competition colour – just like the desert racing 450 – as a base, with black and white accents inspired by the HRC factory machines. 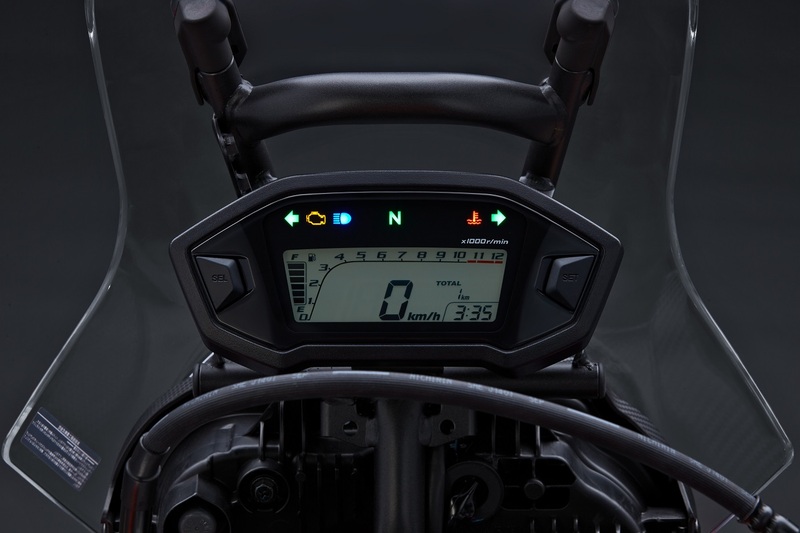 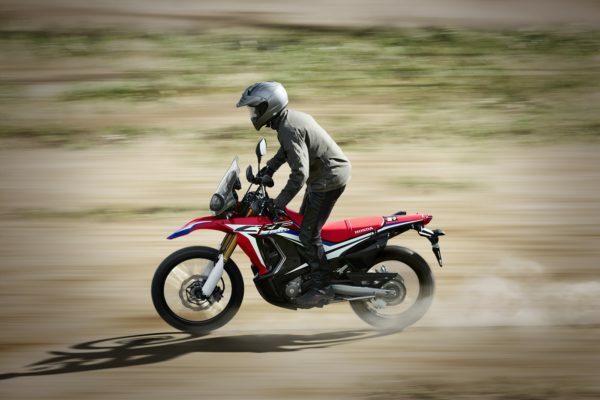 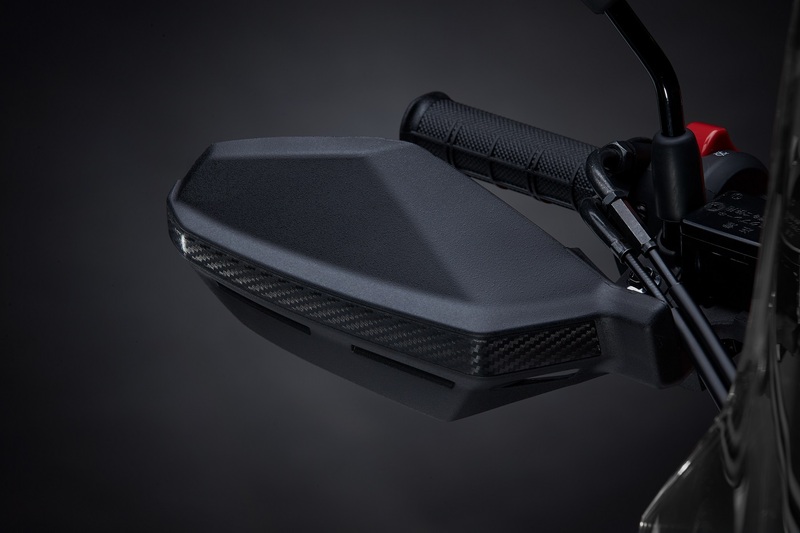 Slim side panels: From the bike’s mid-section to the back, the style is sharp and aggressive – pure MX – with super-slim side panels and a seat and tank combination that helps the rider move freely on the machine. 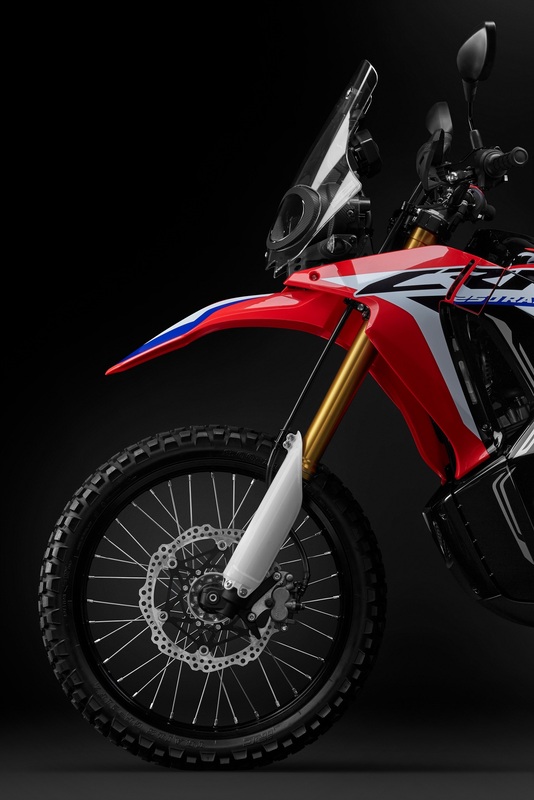 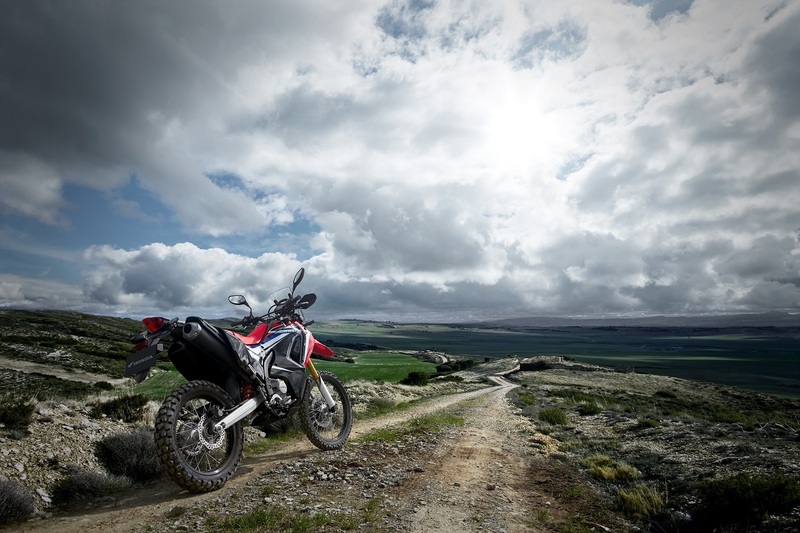 Hand guards: Hand guards offer further protection from the weather, but also protect your hands, brake and clutch levers from any obstacles that you may encounter when venturing off road. 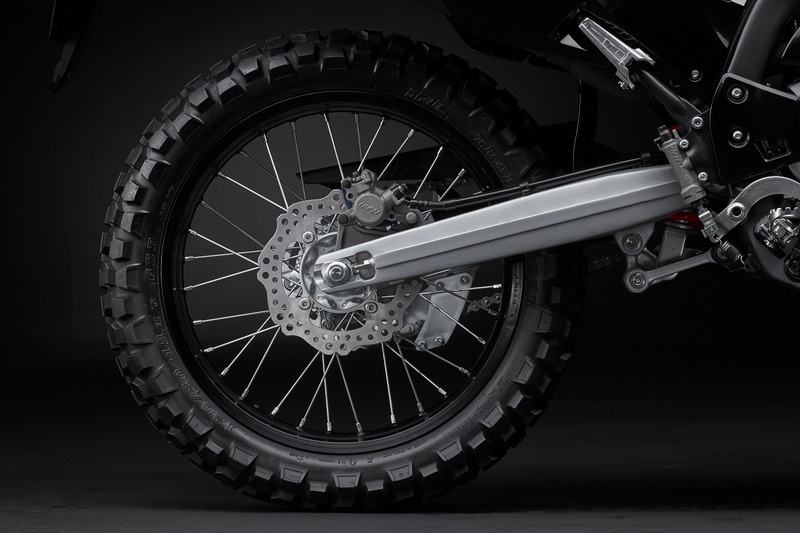 Front Suspension: A 43mm Showa inverted fork, with 250mm stroke, is 50mm longer than the CRF250L. 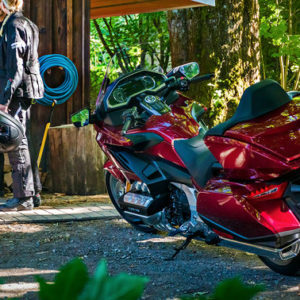 Working as one unit – one side contains the spring while the other provides damping control – the spring rate and damping have been tuned to suit the bike’s long-distance capability.